This 250-sheet paper tray is for use in the HP Color LaserJet 3000, 3600, 3800, or CP3505 series printers. Refurbished. 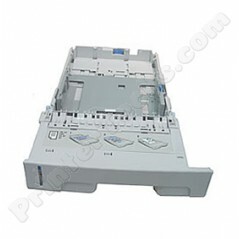 Refurbished paper cassette, for use in the HP Color LaserJet 3000 3600 3800 CP3505 series printers.